An Italian classic that has become a staple in many American kitchens, lasagna is a wonderfully versatile go-to dish. It can fit the bill for a simple weeknight dinner, or be the perfect addition to a spread for entertaining. Lasagna’s varieties suit an array of taste buds and preferences, from strict vegetarians to the most carnivorous meat lovers. Lets give it a look. 1. Preheat oven to 350º F.
2. Slice eggplant into thin strips and place on a baking sheet. Brush with olive oil and sprinkle with salt and pepper. Roast in the oven until tender, about 10 minutes. 3. Prepare marinara sauce, including meat if preferred. 4. Mix together Ricotta cheese, eggs, and Parmesan cheese in a separate bowl. 5. 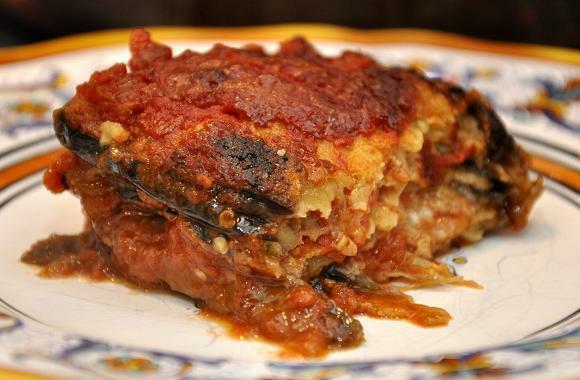 Prepare a large baking dish with non-stick cooking spray and begin layering lasagna as follows: sauce, cheese mixture, eggplant, cheese mixture, sauce and then top with Mozzarella cheese. 6. Bake until bubbly, about 30 minutes.